Digital marketing is so vast and broad a field that it can seem daunting to try to determine what you absolutely need and what you don't need. In this guide, we'll show you the key components that form the foundation of a digital marketing campaign. Keep reading to learn what you need to build your campaign. You'll notice that some of the items on our list are tangible online entities. Some are digital practices. Yet others are offline elements that will inform and fuel the execution of your digital marketing efforts. Without a website, you have nothing to market. You need this online property before you can begin putting your campaign into practice. You'll want to ensure, from the start, that your website is well-designed. What does that mean? It means your website is user-friendly and attractive. It means that it represents your brand identity. Specific goals: What exactly do you expect from your digital marketing efforts? Measurable goals: How will you determine if you've met your goal? Against what criteria will you measure your efforts? Attainable goals: Your goals need to be realistic or you'll just get frustrated. Relevant goals: Your goals should relate to your business needs. Time-based goals: Set a deadline. You need content, else you won't have anything to market. In that way, content is like a website. We recommend a healthy mix of blog articles, videos, and images. Content marketing is so important that for many marketers, content creation claims an average of 28% of the total marketing budget. We'll get more into budgets next, but we want you to understand how crucial this element is. The last thing you want is to be mere months into your digital marketing campaign and run out of funds. It's easy to get carried away buying clicks on search engines and social media, for example, without a budget. Budgets keep your marketing efforts accountable. They also make it possible to determine your return on investment or ROI. Putting a budget in place ahead of time also forces you to plan. Social media empowers brands by providing free and paid postings to get your messages out to potential customers. It does something more though, something traditional marketing is too distant to do: social media builds community. You're not just sending messages out into the world and hoping someone notices. You're interacting with your audience, your community. You're cultivating it by choosing who to follow, whose posts to share, and how you'll respond to customers and potential customers online. Social media is a must-have. You don't have to be active on every single network under the sun, but you should choose a few and post consistently and authentically. 49% of organizations lack a clearly-defined strategy for digital marketing. This is your opportunity to get ahead of the curve. Your digital marketing strategy will be your roadmap. You'll want to outline ahead of time what actions you'll take and when you'll take them. Nothing in your strategy needs to be carved into stone. In fact, you should feel comfortable adapting your strategy to growing and changing needs over time. But it's important to have a foundation. You should take the time to learn some SEO tricks and incorporate them into your digital marketing efforts. SEO stands for search engine optimization and it helps you get more organic traffic by improving your rankings on SERPs, or search engine results pages. SEO consists of on-page actions like ensuring your URLs are clean and properly formatted, and off-page actions like building quality and relevant backlinks to your website. 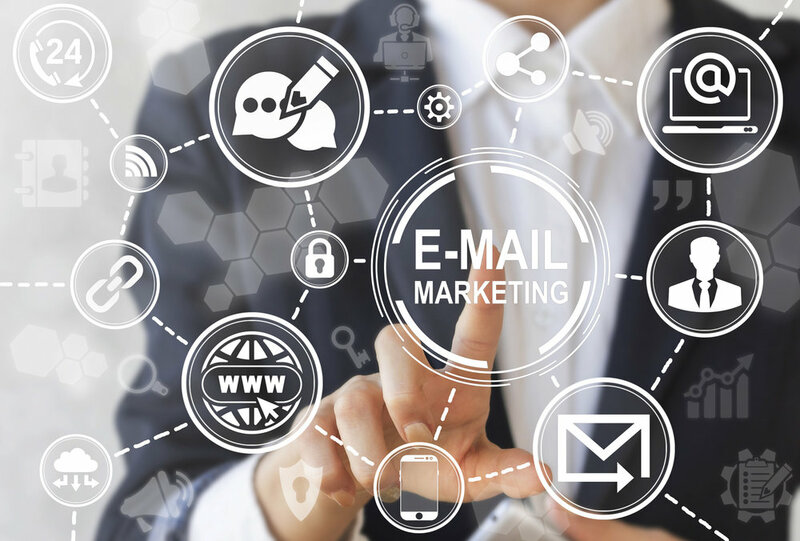 Email marketing is useful because it provides you access to an audience that actively opts in to hear from you. Engagement rates with emails tend to be high because of this. Email campaigns can be segmented, A/B split for testing, and highly effective. Analytics like Google Analytics allow you to see where your digital marketing efforts are most successful and where you need to adapt and improve. Without analytics, you're operating blind--and you don't need to. You have the power to monitor the success and ROI of all the strategies and tactics you employ in digital marketing. You'll also be able to show where your money's going. If there's one thing all forms of marketing require, digital and traditional alike, it's patience. Don't stroll into using digital marketing with the expectation of overnight success. Consistency and patience go hand-in-hand in developing solid campaigns that return positive results time and again. You can use your goals and your written strategy to inspire patience if it's not a quality you typically exhibit. Now that you know the tools, tactics, and traits that you need in order to execute an effective digital marketing campaign, you're ready to start driving traffic to your website. Hopefully, a decent percentage of those visitors will convert and become customers. When that happens, you'll know you've successfully digitally marketed your online property. Of course, it's natural to have questions, particularly about some of the more technical elements of this list, such as SEO. We welcome you to drop us a line. We'd love to help you find solutions to your questions so you can maximize your digital marketing opportunities.